For the third consecutive year, Design Destiny’s answer to waterproof iPhone protection has come out on top, ahead of a competitive field of waterproof cases designed for the iPhone. The Dog & Bone Wetsuit Impact waterproof iPhone case concepted, designed and manufactured by the Design Destiny team, has again been named by New York Times company, The Wirecutter, as its number one pick for a waterproof and rugged iPhone case. 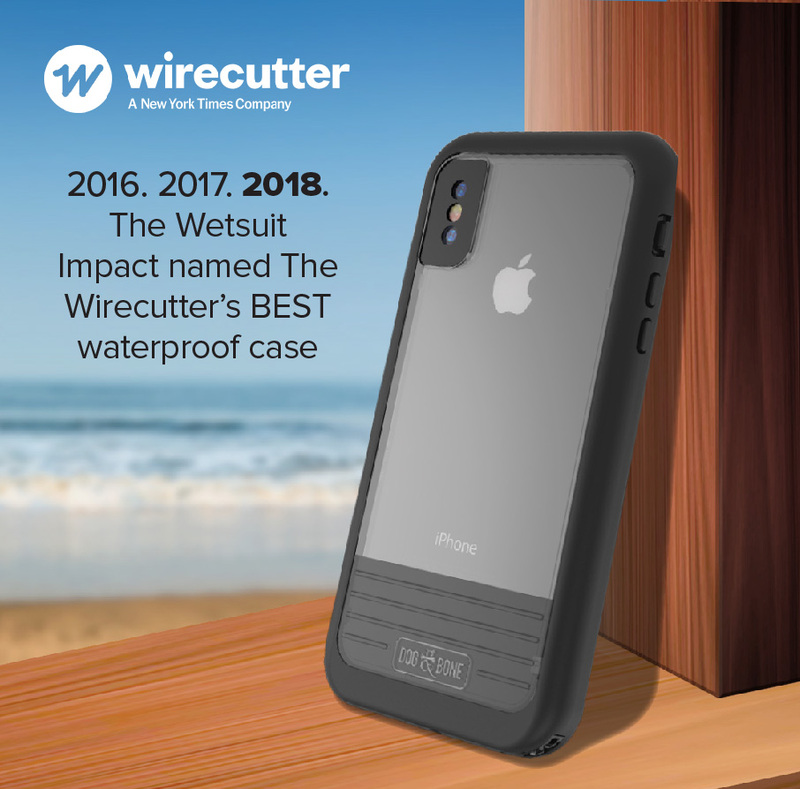 The Wirecutter has named the new Wetsuit Impact as the best waterproof case within the waterproof case category for the iPhone X, following on from previous wins in 2016 and 2017 for the Wetsuit Impact for the iPhone 8, iPhone 8 Plus, iPhone 7 and iPhone 7 Plus. The case is the only one of its kind that combines 360-degrees of water, drop, snow and dirt protection with a flexible glass screen of the highest impact screen standard – 9H, compared to the standard 2H plastic screen protection generally found on waterproof cases. Tech reviewers for The Wirecutter applauded the fit and finish of the Wetsuit Impact, and its ability to keep the design sleekly slim. “The case adds less than half an inch in both length and width to the phone,” The Wirecutter said. “The phone’s buttons and side switch were still easily usable in our tests,” The Wirecutter said.